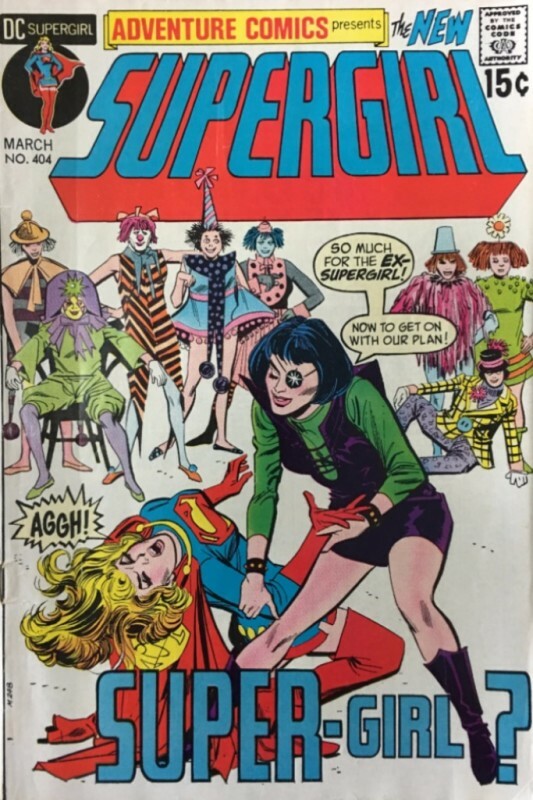 ...and here Supergirl shares billing with a dog! 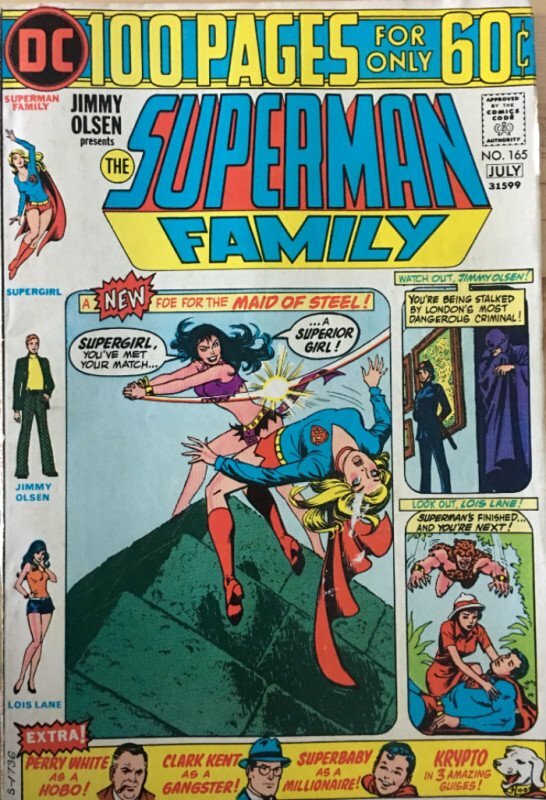 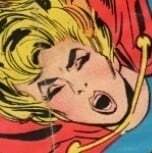 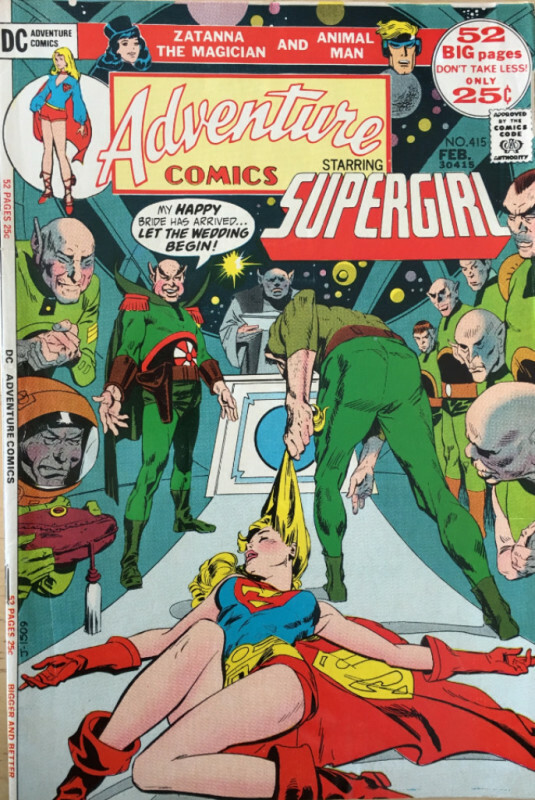 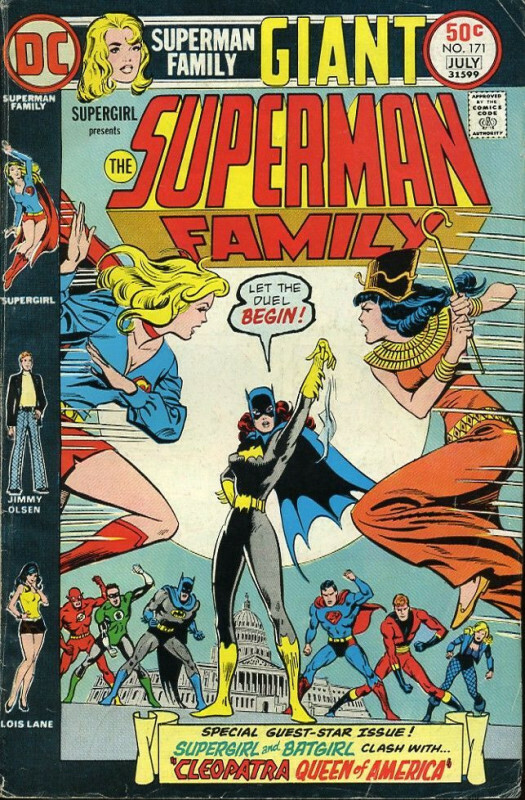 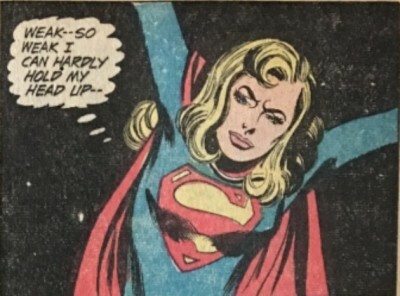 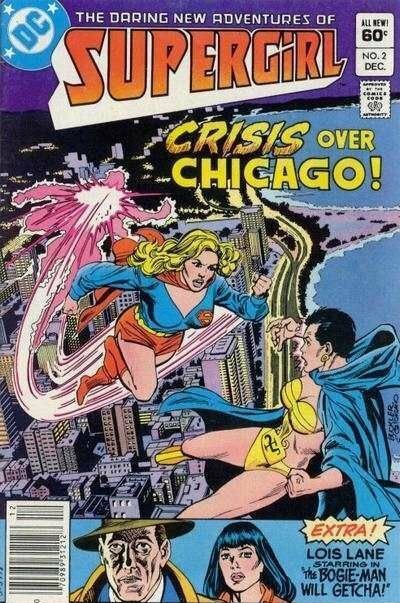 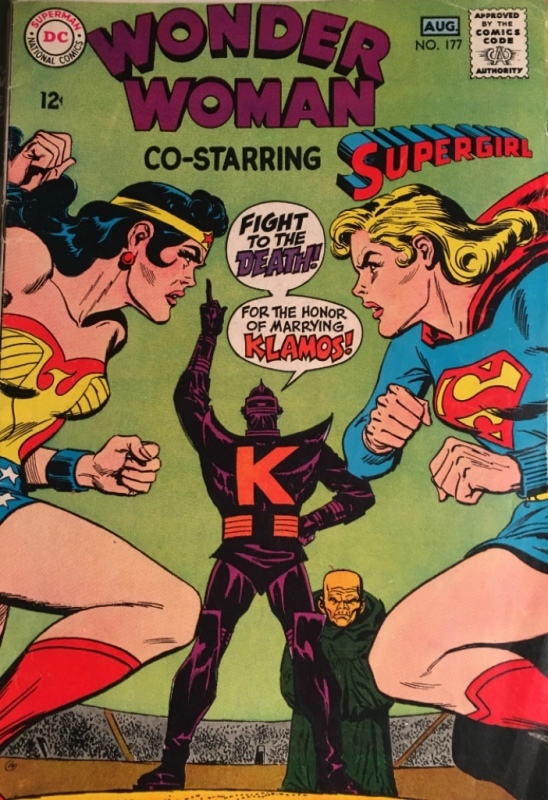 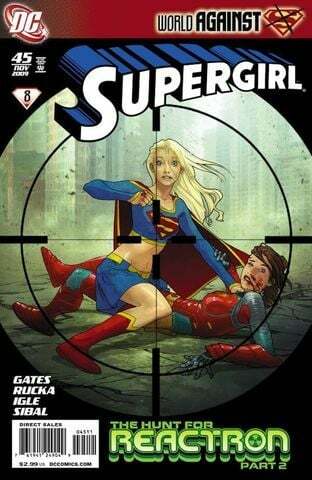 Supergirl is the Rodney Dangerfield of superheroes, always fighting crime in the shadow of her more famous relative, as well as that of DC's No. 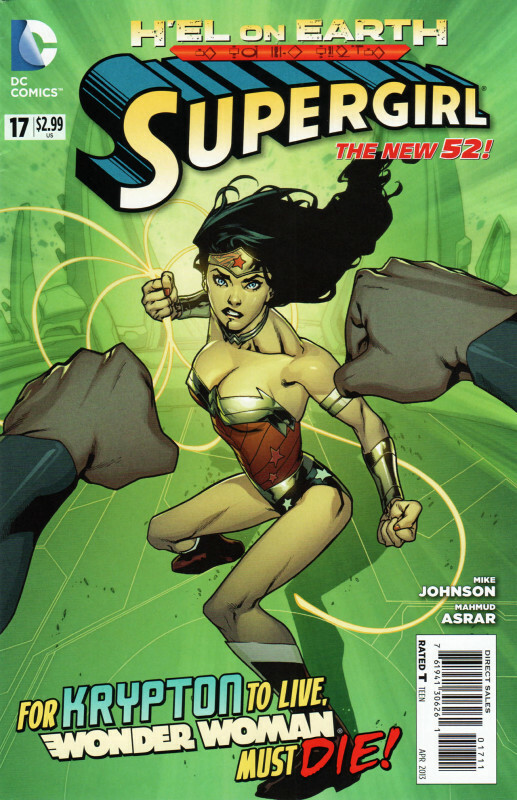 1 superheroine, Wonder Woman. 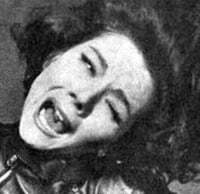 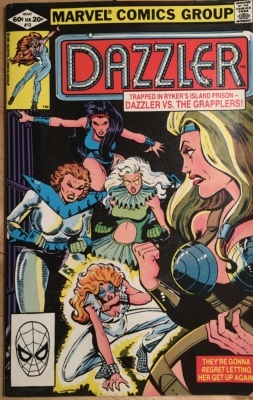 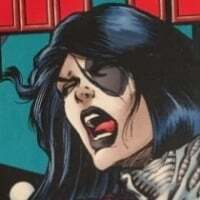 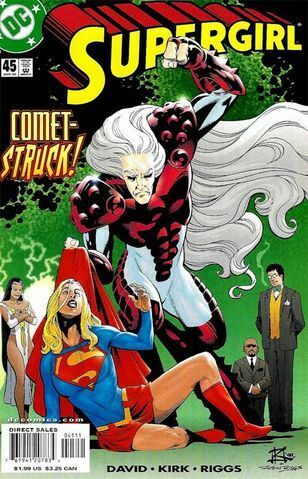 Perhaps the character's best break came when she was killed off in 1985's Crisis of Infinite Earths. 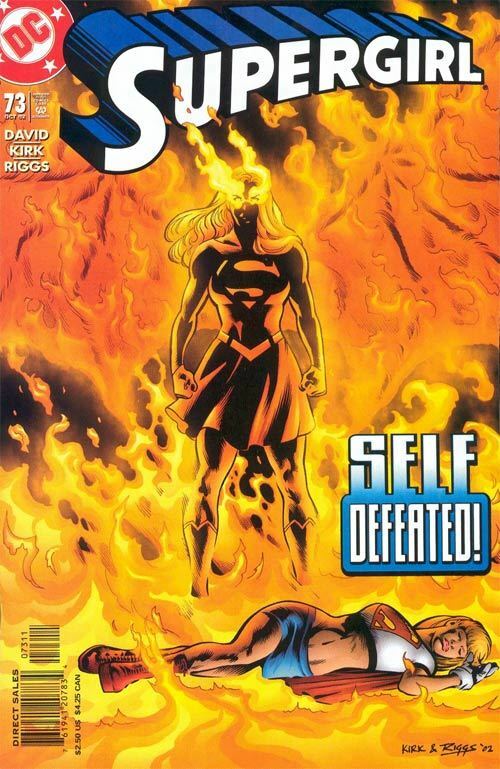 Since then, she's enjoyed a rebirth -- literally -- with her own comic-book series and a popular TV show. 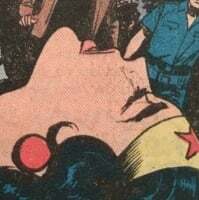 Well-deserved, we say. 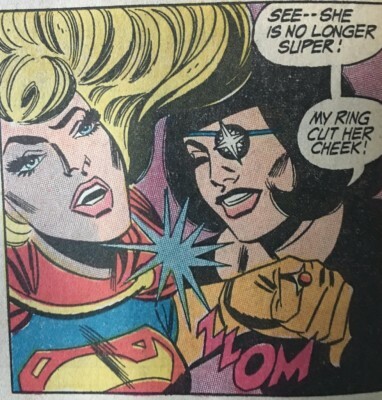 Let the super-catfights begin! 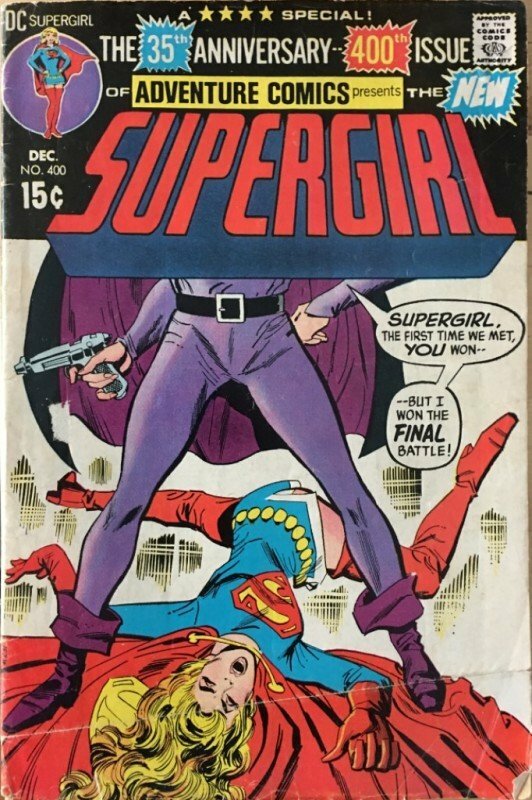 Supergirl Is Set Up -- and Knocked Down! 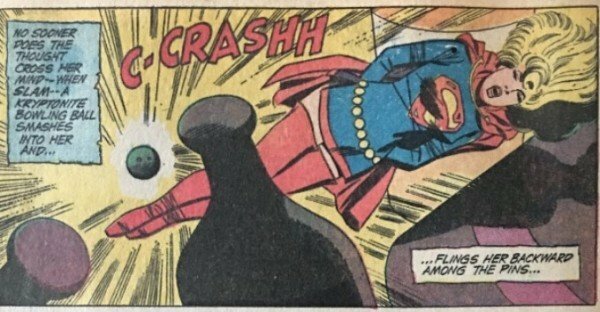 What do you do with a powerless superhero? 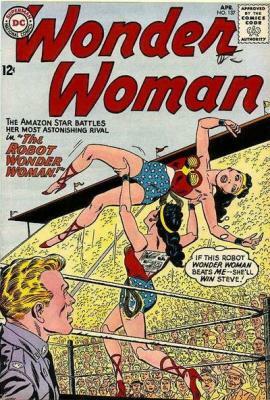 Tie her up and use her for bowling practice! 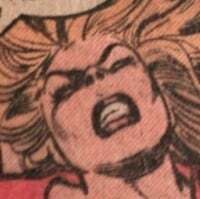 A fun issue -- click on a photo to see the whole thing! 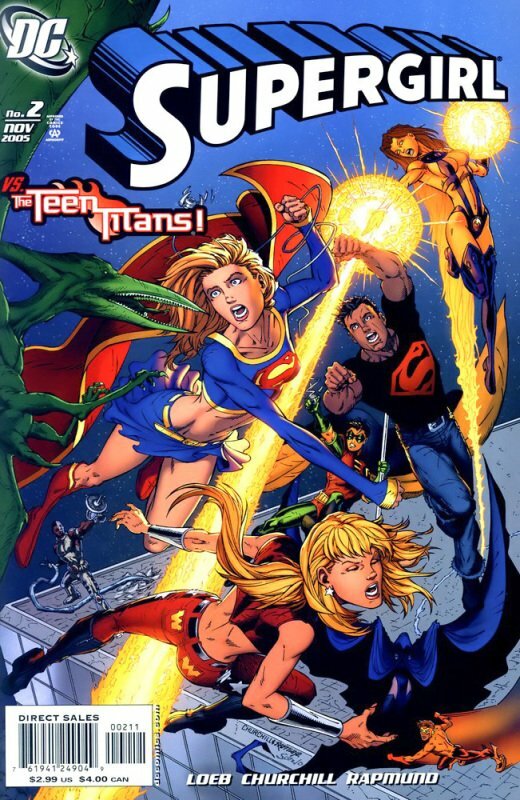 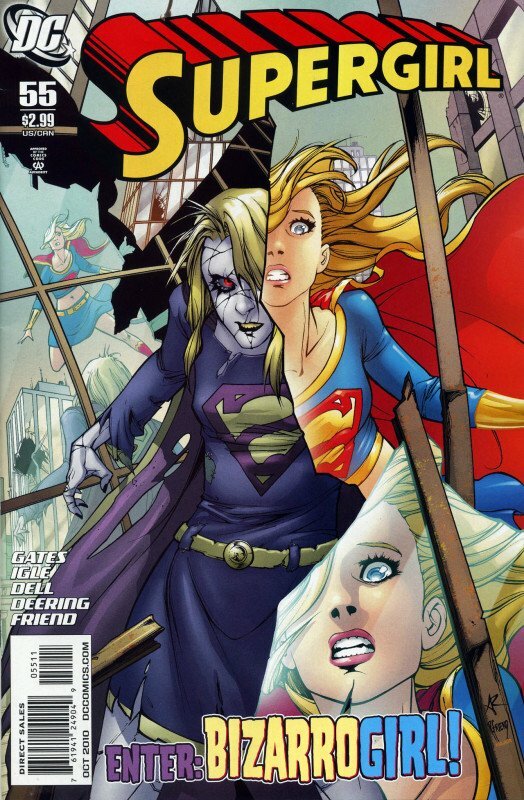 Who could be a tougher foe for Supergirl than Supergirl herself? 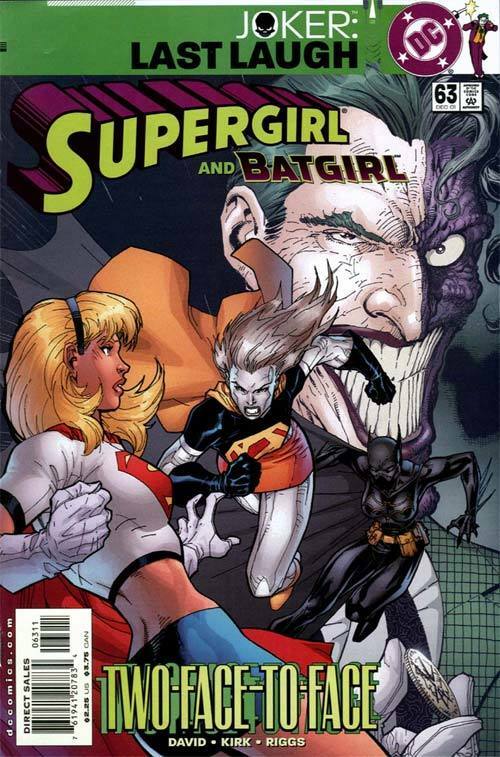 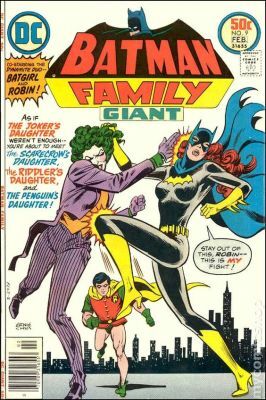 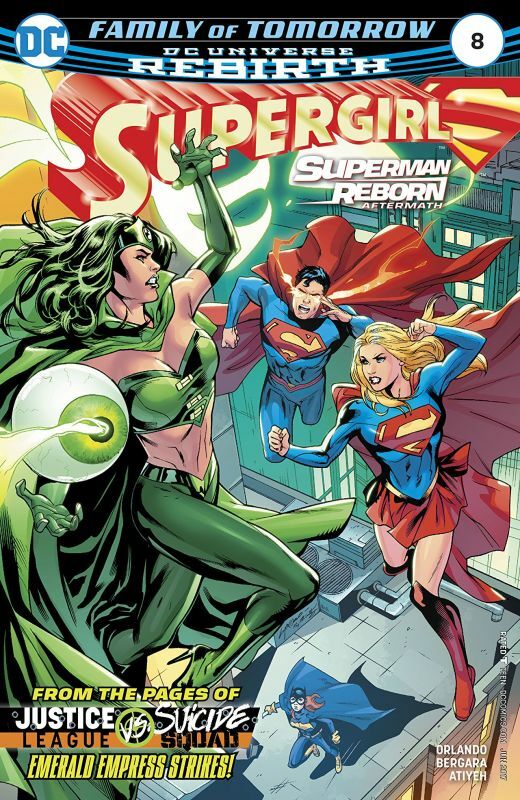 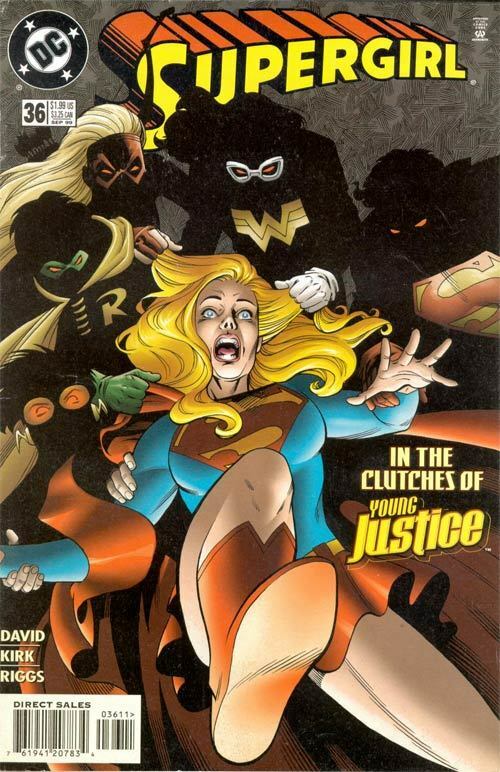 Thanks to DC's many confusing universes, there were lots of chances for the Maid of Might to battle herself. 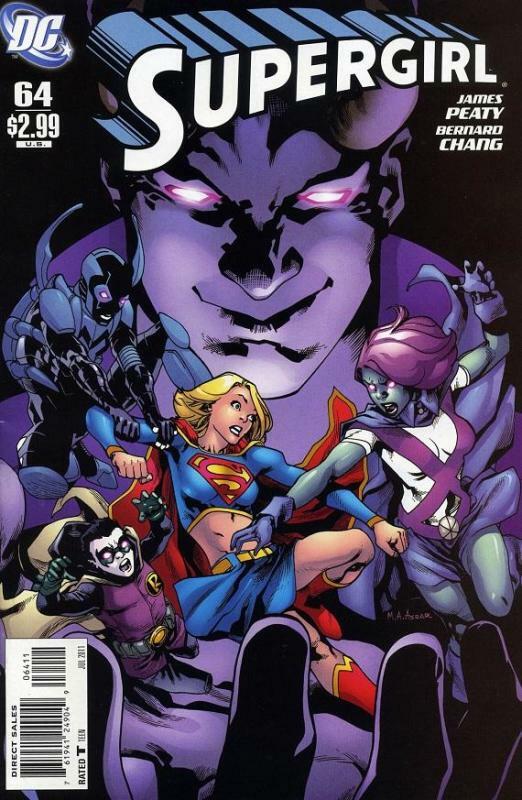 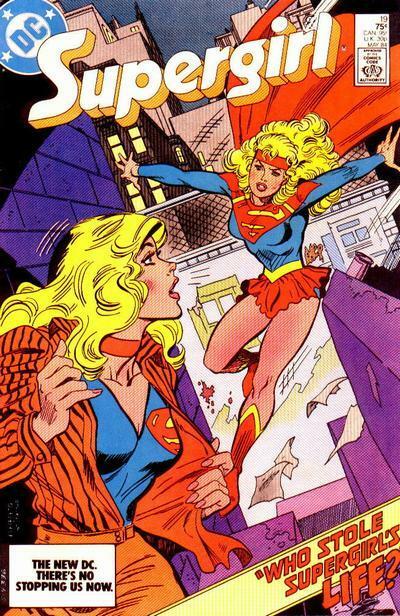 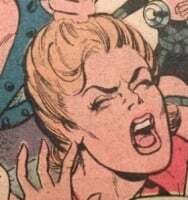 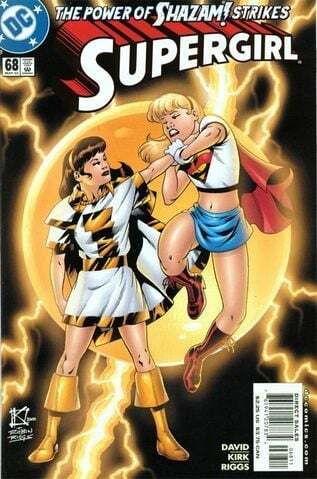 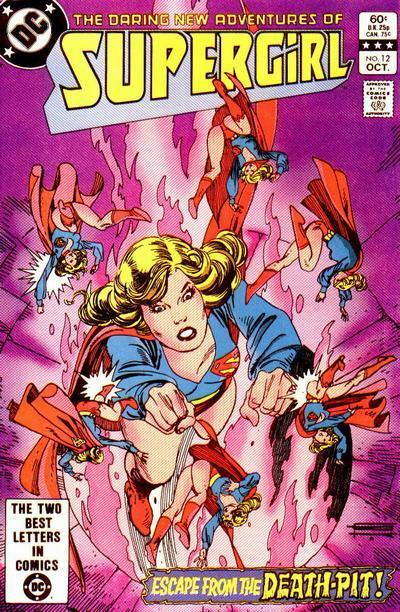 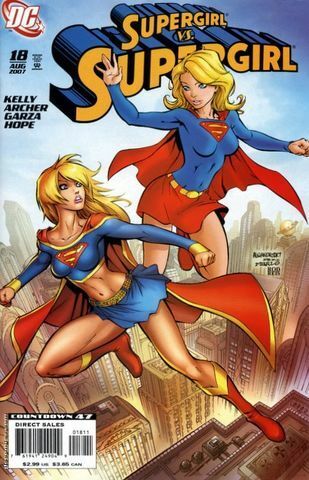 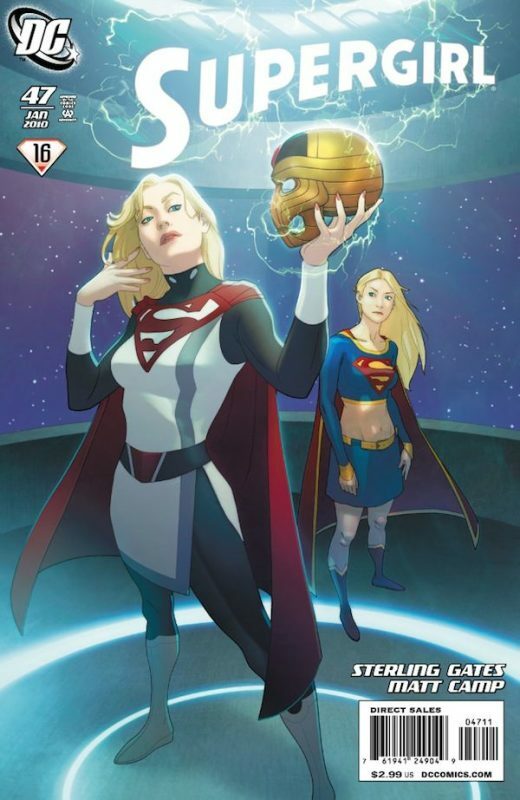 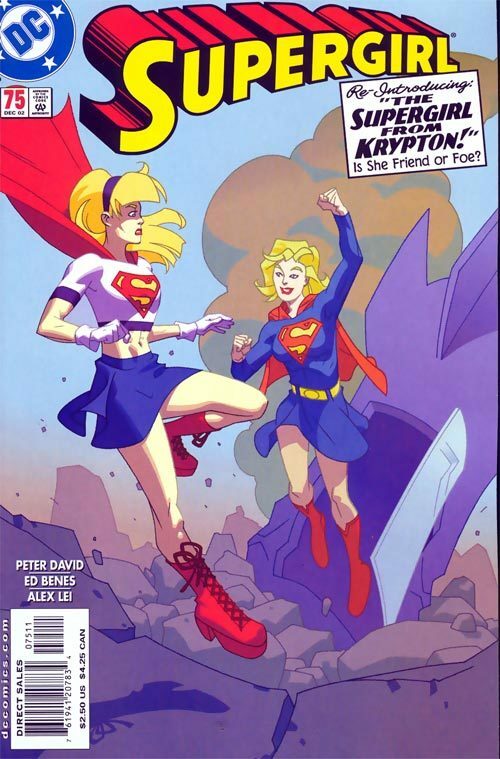 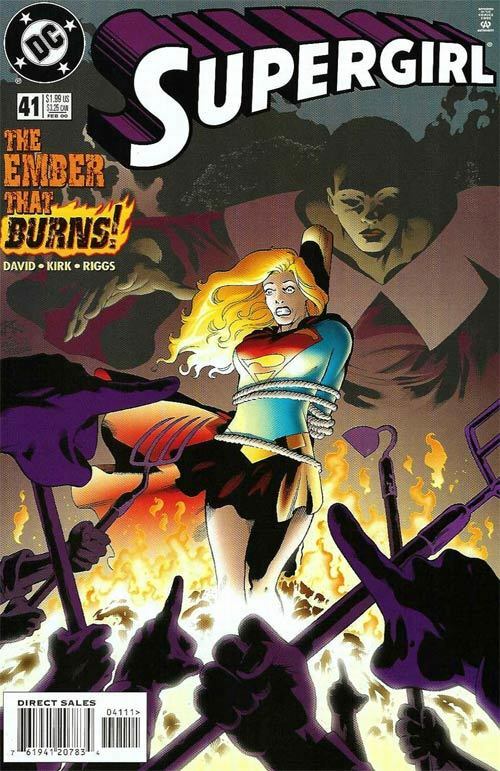 Sometimes she was called Power Girl, but that's still Kara Zor-El from Krypton. 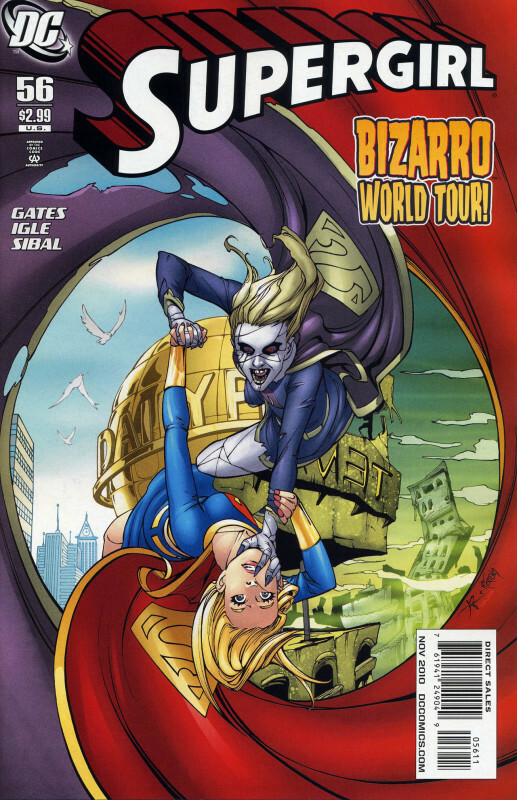 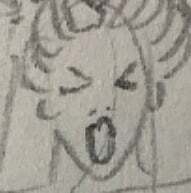 We've even included Bizarro-Girl. 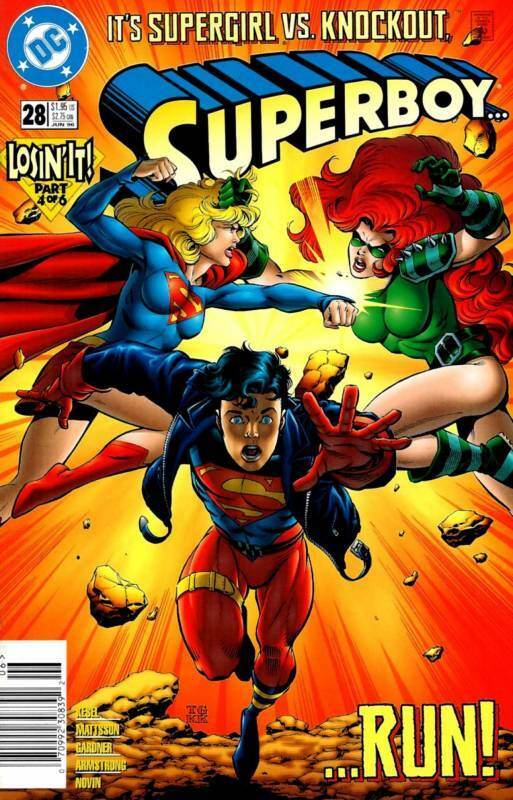 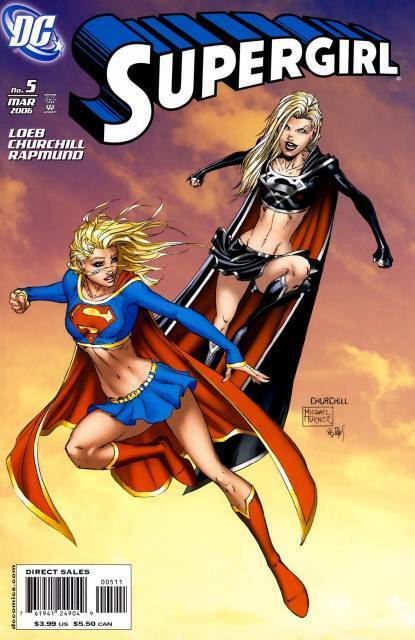 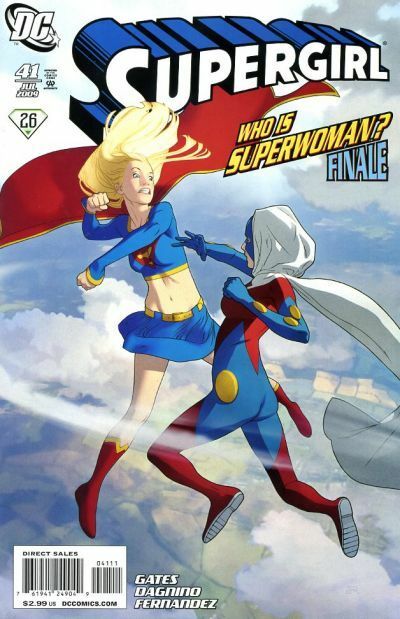 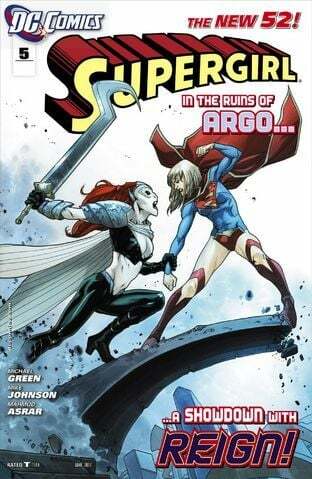 May the best Supergirl win! 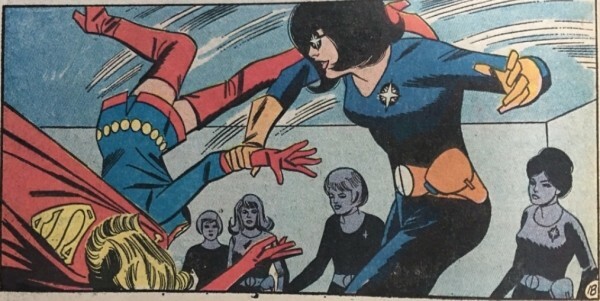 Who needs bowling when you can just slap around a less-than-super Supergirl? 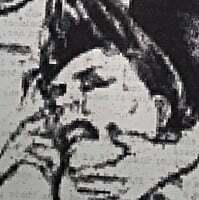 Click the photos for more!